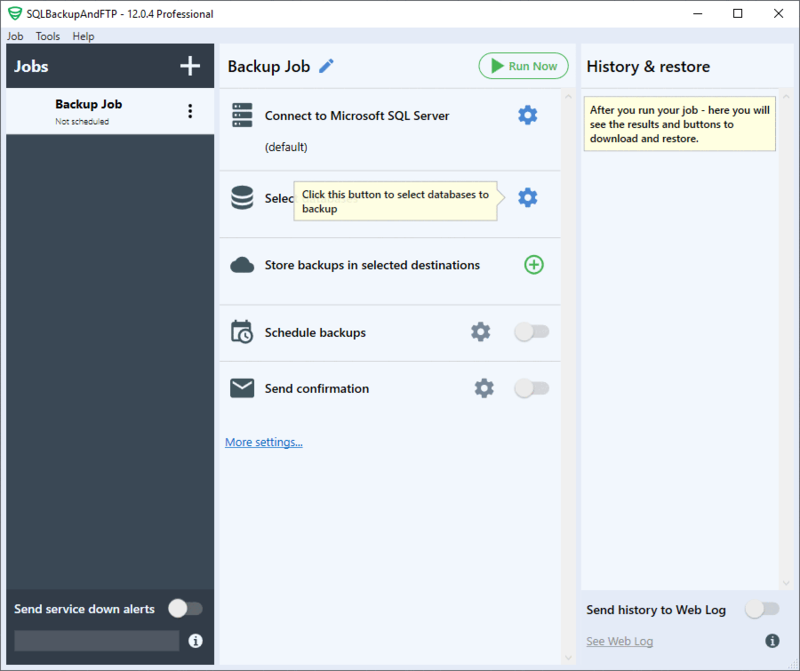 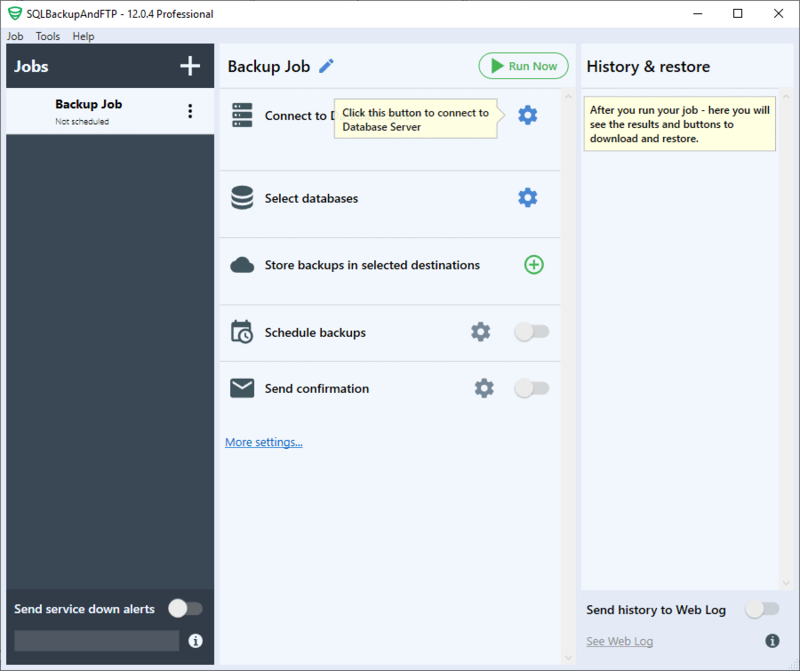 SQLBackupAndFTP is SQL Server, MySQL and PostgreSQL backup software that runs scheduled backups (full, differential or transaction log) of SQL Server or SQL Server Express databases (any version), runs file/folder backup, zips and encrypts the backups, stores them on a network or on an FTP server or in the cloud (Amazon S3 and others we're constantly adding more), removes old backups, and sends an e-mail confirmation on the job's success or failure. 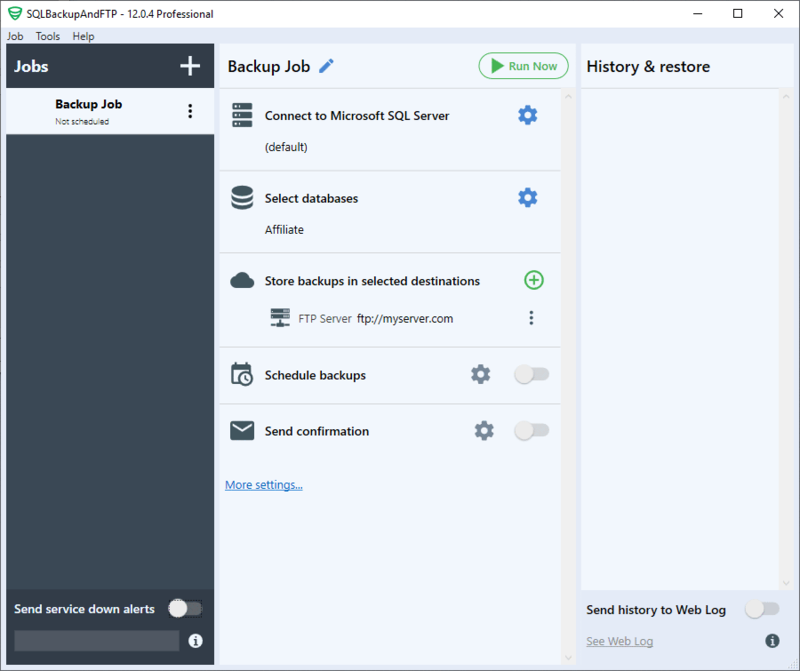 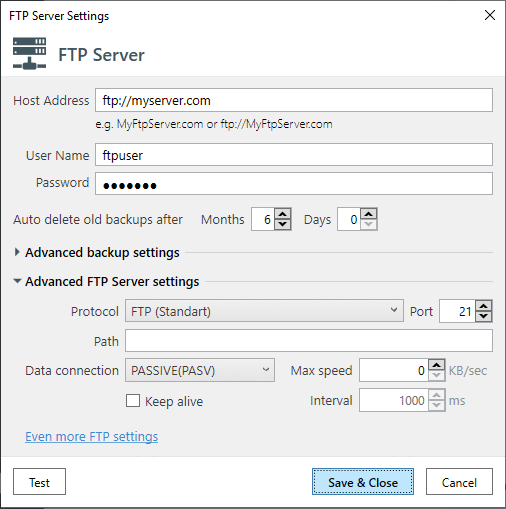 SQLBackupAndFTP is ideal for any SQL Server, MySQL or PostgreSQL database where backups should be sent to FTP, SFTP, FTPS, NAS, local or network folder, Google Drive, Dropbox, OneDrive, Box, Amazon S3, Azure Storage. 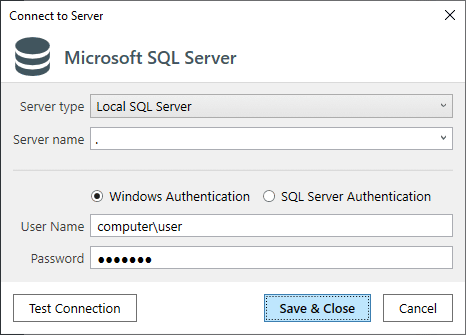 It is especially useful for SQL Server Express 2005, SQL Server Express 2008 and SQL Server Express 2014, since they don't have built-in in tools for backup, but it can be used in any SQL Server Version. 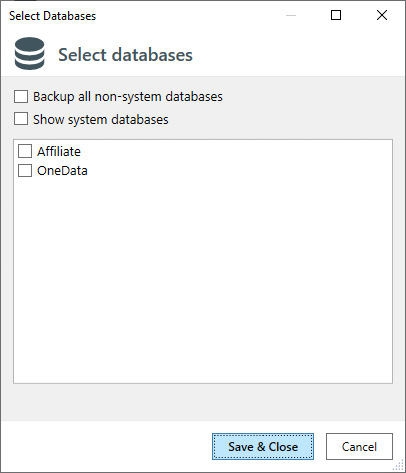 SQLBackupAndFTP is made to be simple. 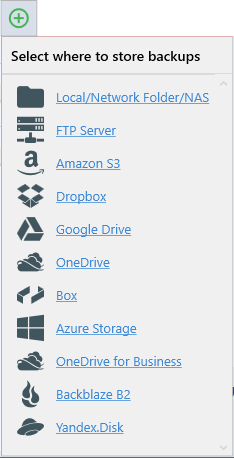 While for the majority of the users this is a huge advantage, some specific configurations are not handled. 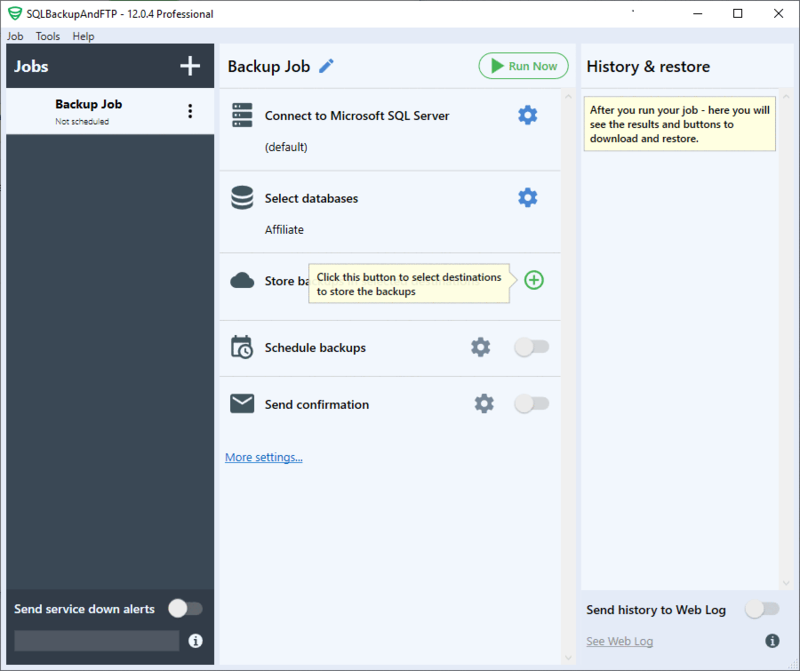 You should not use SQLBackupAndFTP if you want to monitor SQL Server performance and schedule backups online in your browser for a large number of servers - SqlBak.com may be suited better for you.